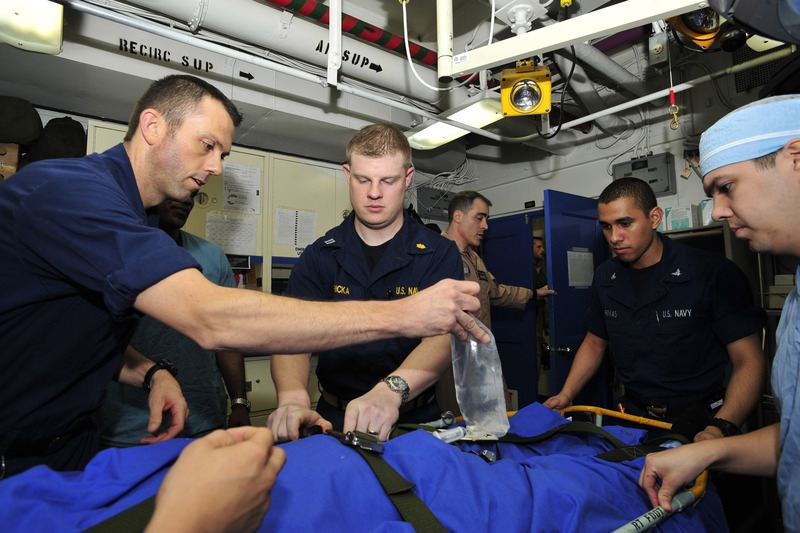 GULF OF ADEN – Cooperation between four ships of three nations assisted an ill civilian mariner in the Gulf of Aden, June 6. The Filipino mariner was working on board Antiguan-flagged, German-owned M/V Baltic Island when he fell ill. The vessel requested assistance from Republic of Korea Ship Chungmugong Yi Sun-shin (DDH 975) which was operating in the area. Chungmogong Yi Sun-shin responded and sent their military medical doctor to Baltic Island to evaluate the mariner. Once on board, the doctor determined the man needed more assistance than was available on board Baltic Island or Chungmugong Yi Sun-shin. 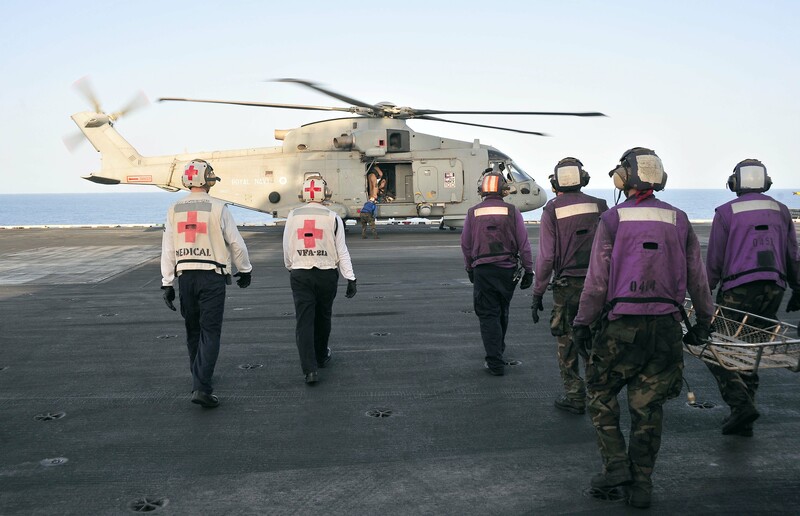 Combined Maritime Forces based in Bahrain, was contacted to coordinate transferring the man by helicopter to the Royal Fleet Auxiliary (UK) Argus (A135), which has additional medical facilities and was in the vicinity. The Argus medical staff determined the man needed advanced medical care. He was transferred by a Merlin helicopter from Argus to the U.S. aircraft carrier USS Enterprise (CVN 65), which has a full medical suite, including operating rooms and surgical staff, laboratory facilities, and intensive care capability. Enterprise’s medical department stabilized the man before transferring him to a nearby land-based hospital for continued medical care in a HH 60H helicopter, assigned to the ‘Dragonslayers’ of helicopter squadron (HS) 11, part of Carrier Air Wing 1, embarked on Enterprise. Combined Maritime Forces (CMF) patrol more than 2.5 million square miles of international waters to conduct both integrated and coordinated operations with a common purpose: to increase the security and prosperity of the region by working together for a better future. Enterprise is in the U.S. 5th Fleet area of responsibility on a routine deployment supporting Operations Enduring Freedom and New Dawn.